The practice approach is based around the experience and requirements of the building user. This is reinforced throughout the design process and is evident in the completed projects. The design process is directed to ensure that all parties can clearly understand, and comment on the proposals, using a wide range of media. Gaining pleasure from the process of design, AJC Architecture aims to build a strong relationship between architect and client, believing the most successful projects are achieved from a positive partnership. The practice aims to provide new solutions to satisfy client requirements, while creating a positive contribution to the context of the project. Working in sensitive planning areas throughout Cornwall, appropriate proposals are provided, respecting the locations and constraints. AJC Architecture does not follow a contemporary or traditional pattern, but acknowledges the uniqueness of each project and the clients aspirations. The practice is committed to providing a strong building image, while maximizing on natural daylight and the exploration of materials. By studying the brief and site we can identify the elements that will provide uniqueness to a project and those which must be addressed clearly and efficiently. Integrated approaches to interior design, structural and sustainable strategies are applied to create practical creative designs. This approach to design requires a wide understanding amongst those involved, of where money can be spent and should be saved, which is integral throughout the design process. Alan Colman established AJC Architecture in 2009. 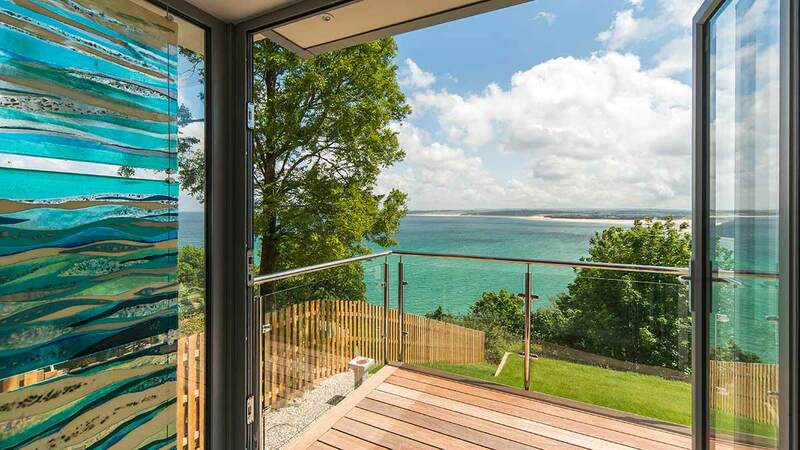 He had previously spent 10 years in architects practices throughout Cornwall, where relationships with consultants and contractors were built, which assists in smooth project procurement. AJC Architecture is a Chartered RIBA practice, an individual RIBA member and registered with the ARB. This provides confidence to all parties, ensuring that AJC Architecture conforms to the required standards that these organizations address. The required professional development activities are undertaken, to ensure the practice is up-to-date with legislation and current technical detailing. AJC Architecture carries Professional Indemnity Insurance of £500,000 in accordance with the ARB Code of Conduct and Practice.